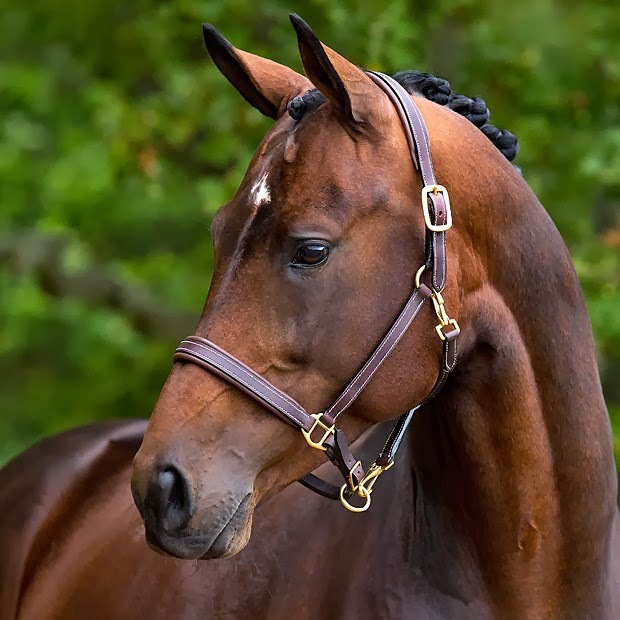 I am writting this post because my halter, made from nylon and soft fur, is getting ugly so I decided to search for some leather halters as they give horses a classic and refined look that I love! This may be one of my next purchases. 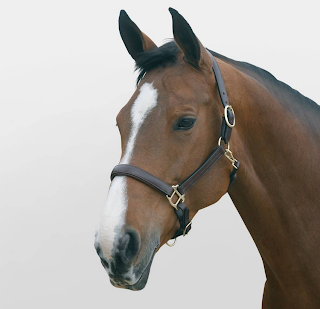 There are some models that are prettier and fit better than others, I chose the halters I think that match these two aspects and also the less expensive ones - without forgetting the quality! This is absolutely my favourite. It is made from soft English leather and has brass fittings. 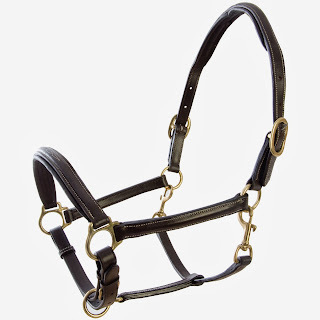 This halter has a raised padded headpiece and a raised padded noseband with stitching throughout. It is available in havana or black and the sizes are cob, full and x-full. Another one from Mark Todd very similar to the previous but this doesn't have the fancy stitchings. The colors and sizes are the same. The sections under the jaw are removable. 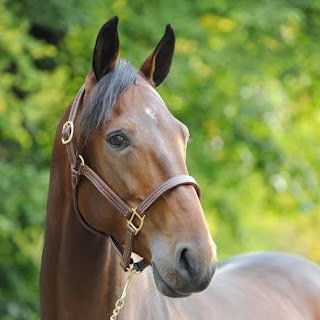 It has a soft line on the nose and on the headpiece. The fittings are made from brass. It is available in dark brown and the sizes are cob and full. 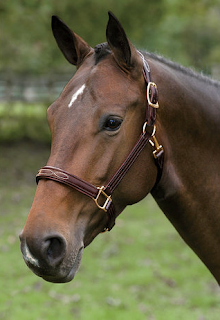 Leather headcollar with stitched detail and padding to the adjustable nose and head. It has two buckles. The colors are brown and black and the sizes are pony, cob and full. This halter with raised padded noseband and headpiece has synthetic diamonds on the noseband and on the cheek pieces. 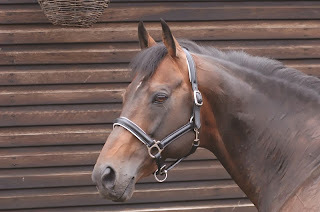 It is available in brown and black and the sizes are pony, cob and full. Made of premium leather with fancy stitching, the Dover Pro Fancy-Stitched Padded Halter stands up to daily use and looks great for shows. This halter is available in black and havana and the size in full. It has two buckles and a stylish stitching throughout. 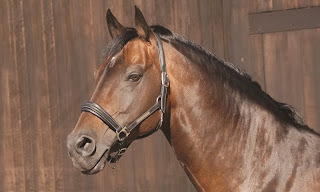 Horze offers the halter in this color with the sizes cob, full or x-full. 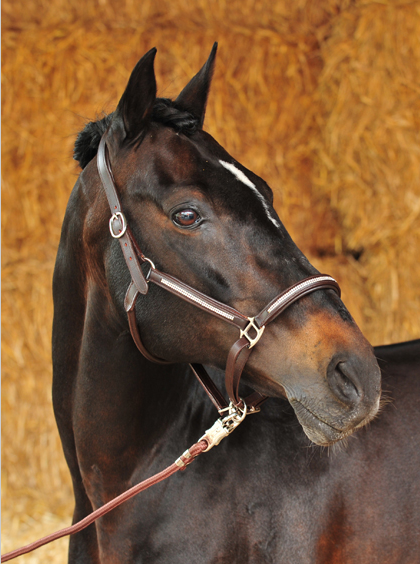 Leather halter with soft lining in the headpiece, cheekpieces and noseband. Buckles on both sides of the headpiece. Adjustable under the nose. Embroidery on one cheekpiece and a brass plate that can be engraved on the other. Available in dark brown and the sizes are cob and full. The Caldene Leather Padded Headcollar offers a comfortable, smart and stylish design that will add definition. This padded headcollar features white piping on the noseband and poll strap. It has an adjustable noseband and headpiece with quick release throat strap. The colors are havana and black and the sizes are pony, cob and full. 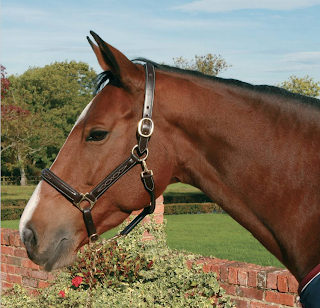 The Caldene Leather Headcollar offers that regal look and is ideal for special occasions and events. It offers a super comfortable padded design with contrast stitching and brass plate on the cheek piece which can be engraved. It also has an adjustable buckle fastening around the noseband and head piece for a perfect fit and a quick release throat strap. It is available in black or havana and the sizes are cob and full. 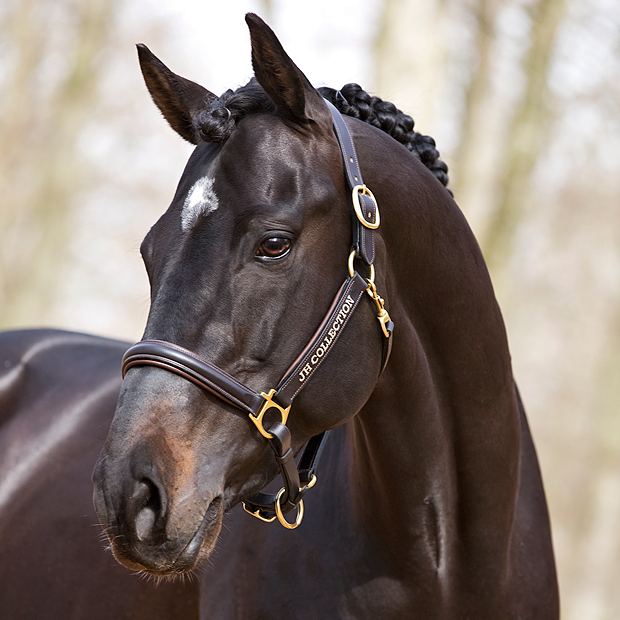 Love your top choice and the one from Hooks is simply stunning!! !